While visiting the North Ranch Escapees Park near Congress, AZ, Cathy, a friend and one of the sparkplugs behind the North Ranch Beaders group, challenged me to experiment with combining beads and crochet. 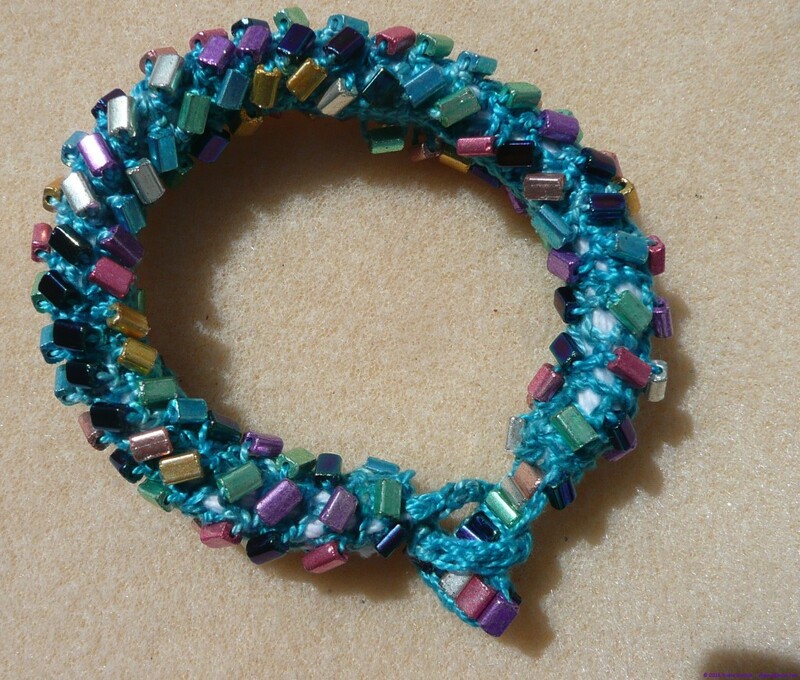 For this bracelet, and later a necklace, I used pearl cotton from my stash and some beads that I knew I wouldn’t otherwise use (because I didn’t know what I would end up with) and I sat down to experiment. This bracelet, the results, has been worn a lot. I like it’s soft, chunkiness. This was a great way to experiment without the cost of using a fine wire – something I will eventually move on to do. Approximately 7″ or 18 cm plus closure.